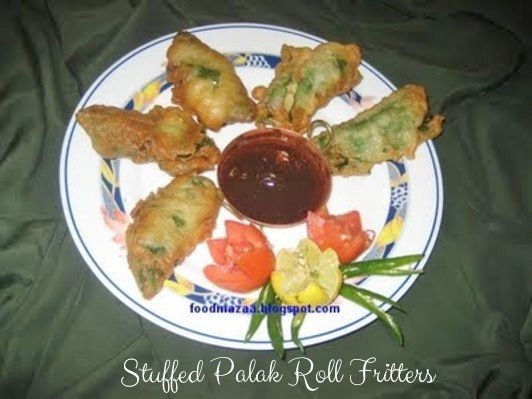 Make and enjoy this nice and crispy snack made with palak leaves. Select the leaves that are bigger in size. Corn flour ............. 2 tbsps. Baking powder ...... a pinch. 1.Crumble the paneer and mix parsley, cheese,white pepper, salt to make the filling. 2. Wash the Palak leaves and remove the thick stem. Boil water in a pan, add aa little salt to it and immerse the leaves for a few minutes. 3. Pat them dry and place a little filling on each leaf. Roll it like a spring roll and secure with a tooth pick. 4. Make a smooth batter with white flour and corn flour adding a little water. Add baking powder salt to taste. 5. Dip each roll in the batter and deep fry. this is new one to me.. will try out! Do let me know after making...hope you will like it. very different kind of recipe and healthy too without making any compromise with the taste!! 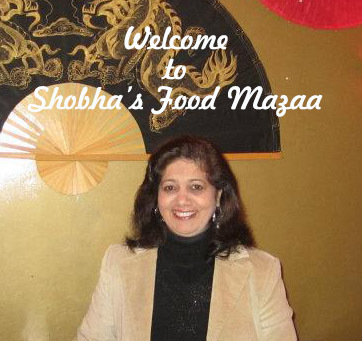 and I am following you....you have such a huge collection of recipes!! Anything with palak leaves is fine with me. I'm visiting from We The Bloggers. Your blog makes me feel like I'm in your kitchen (lol). Rolls look perfect. Love the use of spinach. Thx for linking.